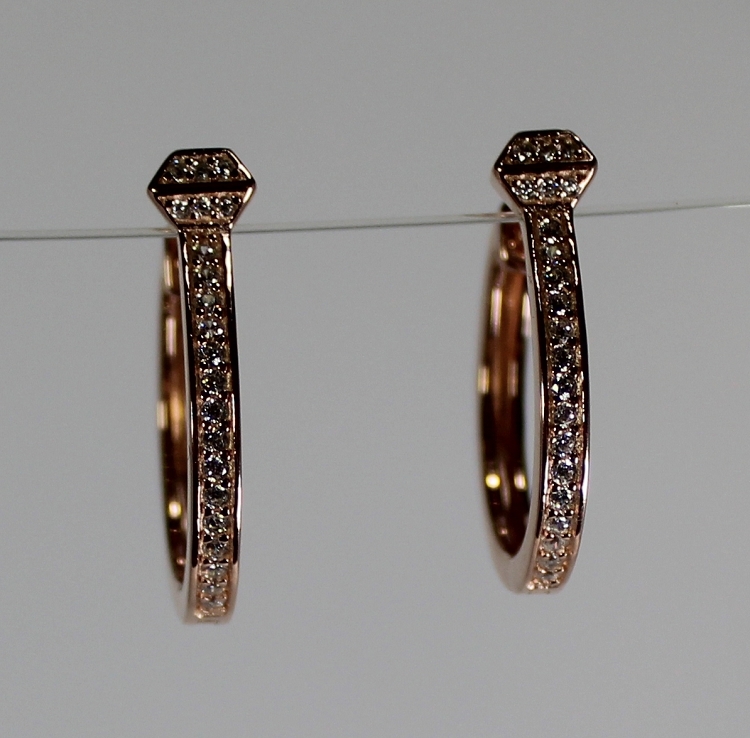 Rose Gold Plated Sterling Silver Horseshoe Nail Hoop Earrings with Clear CZs. These earrings are hinged at the bottom so unlike regular hoops, these don't seem to ever get stuck on your clothing. These earrings measure 7/8" and really make a statement. These earrings are Stunning.